If you’re anything like me, you dread the sound of an alarm clock in the morning. In fact, this thought alone is what led me on a search to find the best wake up lights. Let’s face it; there’s no pleasant way to be jolted from a sound sleep in the morning. I’ve tried music, trumpets, the sounds of gently falling rain, (yup, slept right through that one) and even a barking dog alarm, but none of them really does the job I want. All I’m asking is for a gentle nudge out of bed and into the day. Is that too much to ask? And after searching for months, I have finally found a way to start my day on a positive note, through the use of a natural light alarm clock. Sleep is so vitally important for good health! Circadian rhythm is a cycle that your mind and body follow throughout the day. If you’ve ever noticed that you feel full of energy or dead tired at certain times of the day, this is your circadian rhythm at work. One of the main influences on circadian rhythm is daylight. This is a signal to your body that it needs to awaken and begin the day. Things like prolonged periods of cloudy days, or shift work, and even where in the world you live can have a profound effect on your body’s biological clock. One way to keep everything functioning smoothly is to make sure all these triggers and events are predictable, as much as possible. 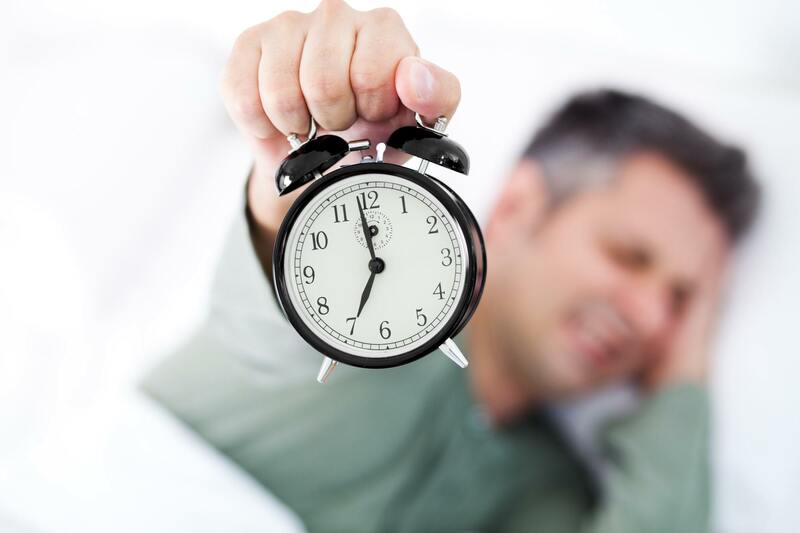 Below we’ll take a look at the best wake up light alarm clocks and see why they’re so popular these days. Philips claims to have the only wake up lights that are clinically proven to help you wake up feeling more refreshed. While this is a tremendous claim and you’re probably thinking, “right, how can they measure something like this?” all I can say is after owning one, I know there is a difference in the way I’m waking up. I was skeptical at first as well, but the proof is in the pudding, as they say. This wake up lamp has all the features of an alarm clock that you’re used to having. There’s a snooze alarm that’s easy to access – you just tap the top for another 9 minutes. It can also provide a beep that will keep you on time for work. The light alarm is perfect for a gradual wake up, but there’s also 2 natural sounds to wake you up gently and ease you into the day. This Philips wake up light gradually increases in intensity over a 30 minute period before you actually want to wake up. It fills the room with a bright yellow light that simulates sunrise and allows you to wake up naturally. You can also adjust the light for the intensity you desire to wake up to. Everyone’s needs are different, and this feature is wonderful. You can set the wake up time and choose the sound that will be heard, which gradually increases in volume so you’re not jarred out of sleep and starting your day on the wrong foot. There’s even an FM radio if you so desire, as well as a handy reading lamp with 10 intensity settings. It seems as though Phillips has thought of everything. The dimensions of this product are 5.1 X 7.9 X 7.9 inches, and it weighs just over a pound. NOTE: Some folks have mentioned this slightly annoying feature, which I don’t mind. If you use the clock as a reading lamp and adjust the intensity for reading, the alarm clock feature will “remember” that intensity setting and use it the next time you set the alarm, so if that setting is not to your liking you’ll have to remember to set the right intensity for your wake up. Note that it also does not have a battery backup. Not a deal breaker for me. All in all this is a great gradual wake up alarm clock. Remember that Philips offers a 90 day money back guarantee! This is another wonderful unit from Philips. The HF3510 has some of the same features as the one above, but also some unique qualities that people really love. This unit has a soft- UV-free light to wake up to, with a maximum 300 LUX intensity. Its design allows it to offer a pleasant glow without any harshness. This wake up alarm clock has 20 intensity settings for almost infinite adjustment, and also functions as a reading lamp. One of the features I really love is the way you can also use it to fall asleep at night. The light will gradually decrease in intensity to simulate dusk, sending a signal to your body’s clock that it’s time for sleep. Sounds to wake up to include birds in a forest and something called Zen Garden, as well as a built in FM radio if you so desire. You may also completely turn off sounds if you like just the light to wake you up. Snooze is also present here as well, with a 9 minute grace period if you really need it. The non-slip rubber feet keep the unit firmly in place on your nightstand, and believe me, you won’t be tempted to slap this alarm clock across the room like others you’ve had. People report that it may take a bit of trial and error to get the light settings right for you, but believe me this is worth it. Gone are the days of blaring alarms and once you get used a wake up lamp you’ll never go back to a conventional alarm clock. This unit measures 7.9 X 10.6 X 10.3 inches and weighs in at around 3 pounds, so you need to make sure you have enough space for it. Another great offering by Philips, and again, with a 90 day guarantee! Along the same lines as the Philips products above, this dawn simulator alarm clock has many of the same features, such as a gradually increasing intensity and a natural sunset feature. However, this unit has some additional features that lots of people find very attractive. For instance, the timer on this clock can be set to increase the light intensity from 15, 20, 30, 45, 60, or 90 minutes! That’s a lot of flexibility and should satisfy even the pickiest of sleepyheads. There are six different sound effects to wake to, as well as an FM radio and even a rooster! It has a handy and easy to access snooze feature, easy to read settings, and is pretty simple to set up. One note of caution: some people have reported that this clock is complicated to set and maintain. I did find this to be true at first, but once you get the hang of all the settings I think you’ll love all the extra features that the Lumie Bodyclock 250 has built in. Let’s face it, alarm clocks haven’t changed much over the years, and in the past you’d just pick on you could tolerate and that fit where you needed it to fit. We kind of put up with the annoying buzzes and beeps, but were never quite thrilled with any alarm clock because it jolted us so harshly out of our comfortable sleep. Those days are long gone now! With the advent of these gradual wake up lights, morning doesn’t seem so bad after all. Now if I could just get that robot to bring me coffee, all would be good with the world!